by catholicherald.co.uk --This last January 30, I was present in London for two very interesting occurrences. The first was a wreath-laying ceremony at the equestrian statue of King Charles I in Trafalgar Square; the second was an Anglo-Catholic style Anglican Mass at the Banqueting House. That evening, at St George’s Chapel at Windsor Castle, there was a service of Evensong honouring the murdered Monarch. In all three ceremonies, Charles was referred to as a Saint. Indeed, surprising as it may sound to Catholics, the King is the only individual the Church of England has ever tried to canonize. The reason is that it was made very clear that his life would have been spared had he been willing to sanction the abolition of bishops in the Church of England by Cromwell. His feast day was removed from the Book of Common Prayer by a Whig government in the mid-19th century, but the Anglo-Catholic wing of the CofE fostered devotional societies who ever since have tried to bring the holiday back. Chief among these are the Society of King Charles the Martyr and the Royal Martyr Church Union. 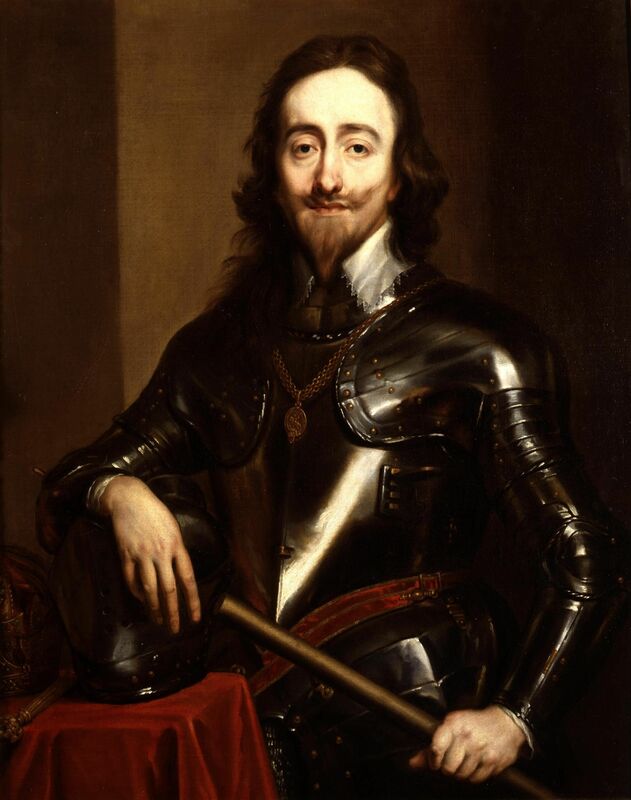 Interesting as all these facts may be to students of English history and Anglican beliefs, what interest could the question of Charles I’s sanctity possibly have for Catholics? Quite a bit, really. For one thing, his cultus plays a prominent role in that Anglican Patrimony which Pope Benedict XVI created the Personal Ordinariates to preserve within the Catholic Church. When various Eastern Orthodox groups have been reconciled to the Church, they have been allowed to continue to venerate a number of post-1054 figures as Saints. So, might our newly admitted brethren of Anglican background be able to do the same with Charles I? A close reading of his life and reveals some striking points. Raised by a Catholic mother and married to a Catholic Queen, Charles demonstrated a sympathy for Catholics unseen since Mary I died. At various times throughout his reign he negotiated with several Popes for reunion, assuring them that his beliefs were the same as theirs – a fact that helped bring him to the axe. He venerated Mary and the Saints and believed in the Real Presence. It must be remembered that this was two centuries before Apostolicae Curae, meaning Rome had not yet ruled Anglican Orders invalid and it was still very much an open question whether Anglicans had the Apostolic Succession. Though in retrospect they did not, it was a doctrine Charles was willing to die for. 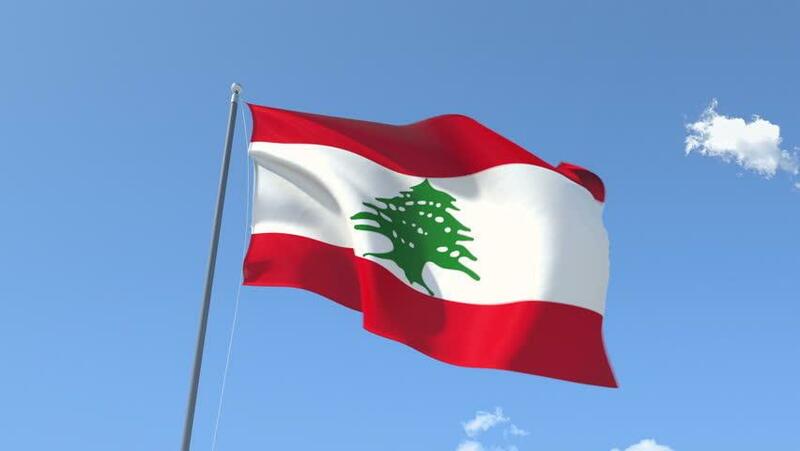 (MENAFN - Trend News Agency) The new Lebanese government won on Friday the vote of confidence with 111 votes out of 128 after discussing the ministerial statement for four days during this past week, Trend reported citing Xinhua . Prior to the voting, Prime Minister Saad Hariri gave a speech while focusing on the need to conduct reforms in a bid to avoid the deterioration of the country on all levels. "We have agreed on the main points in the statement and we know very well that if we do not agree the country will collapse," he said. He emphasized the need to implement important reforms and to find a final and complete solution for the electricity problem which costs the treasury around two billion U.S. dollars a year. Hariri also placed great importance on reforms needed to comply for the 11 billion U.S. dollars pledged at CEDRE conference. Hariri added that CEDRE program was not made by the international community with the intention of nationalizing Syrian refugees in Lebanon. "The program is 100 percent Lebanese even if it will employ some Syrians," he said. "Who does not want a better business environment or a reduction in the budget deficit?" Hariri asked. Hariri said that Lebanon should take advantage of this historical opportunity. "All political parties will take part in our work plan. The council of ministers and the Parliament are responsible of translating this work plan into actions," he said. Follow Trend on Telegram. by naharnet -- MP Jamil al-Sayyed on Friday engaged in a verbal clash with Prime Minister Saad Hariri, MP Sami Fatfat and a number of Mustaqbal MPs and ministers, as the parliament resumed its debate of the new government's Policy Statement. The heated exchange erupted when Fatfat hit back at remarks voiced by Sayyed on Tuesday. “An apology should be addressed to every young man arrested between the years 1992 and 2005,” Fatfat said, accusing Sayyed without naming him of “fabricating cases.” Sayyed hit back, blasting Fatfat as a “youngster” and a “chick.” Hariri intervened at this point, telling Sayyed: “It would be better if you don't talk. Respect yourself!” “This is someone who doesn't respect martyrs and you are letting him talk,” the PM added. Sayyed snapped back saying, "You respect yourself!" The MP had on Tuesday called on Hariri to “apologize” over “the four years that the four officers spent in jail,” referring to himself and three other former chiefs of security agencies who were jailed in connection with the 2005 assassination of ex-PM Rafik Hariri before being cleared of any charges. MP Jihad al-Samad, a member of the Hizbullah-backed Consultative Gathering, had called on Hariri earlier in the session to "begin reform from the Internal Security Forces directorate and OGERO." Al-Samad also criticized FPM ministers who have lodged signed resignations with their party's leadership. MP Alain Aoun meanwhile lauded MP Mohammed Raad's apology over remarks voiced by MP Nawwaf al-Moussawi, describing it as “the epitome of national responsibility, patriotism and keenness on coexistence.” “Bashir Gemayel is one of Lebanon's iconic martyrs and is an icon for large segments of the Lebanese and a former Lebanese president. Any attack against him that exceeds political criticism is an attack on national unity,” Aoun said. BEIRUT (Reuters) - Saudi Arabia is lifting its longstanding warning against citizens traveling to Lebanon, its ambassador to Beirut said on Wednesday, marking a new warmth in a once-close relationship that has cooled in recent years. Riyadh was once a major supporter of both the Lebanese state and political allies in Beirut, but mindful of its overarching rivalry with Iran, it stepped back as Tehran’s own Lebanese ally, Hezbollah, grew in strength. “Given that the previous security reasons have ended and based on reassurances from the Lebanese government to Saudi Arabia, Saudi Arabia then is lifting its travel warning for its citizens,” Ambassador Waleed Bukhari said on al-Jadeed TV. The heightened engagement appears to mark a shift away from an approach characterized by pressuring the Lebanese government over Hezbollah’s political power in Lebanon. Lebanon last week formed a new coalition that includes three ministers chosen by Hezbollah while still being led by the Western-backed Saad al-Hariri, historically a Saudi ally, after months of political wrangling. Riyadh has repeatedly warned against travel to Lebanon since January 2011, citing Hezbollah’s power and the political instability resulting from the war in neighboring Syria. A fall in visitors from Saudi Arabia and its Gulf allies has hit Lebanon’s tourism industry, once a mainstay of an economy that Hariri’s new government has pledged to support with reforms and investment. Thousands leave Syrian village amid coalition assault on Islamic State Saudi ties with Lebanon hit a nadir in November 2017, when Hariri was briefly detained during a visit to Riyadh and announced his resignation, though the crisis was resolved and he returned to Beirut soon afterwards. At an anniversary event on Wednesday evening marking the 2005 assassination of Saad’s Riyadh-backed father Rafik al-Hariri, who was also Lebanon’s prime minister, the Saudi presence was clear. The Saudi flag was on display and the visiting Saudi envoy Nizar al-Aloula, who earlier met both Hariri and President Michel Aoun, gave a speech. Iranian Foreign Minister Mohammad Javad Zarif visited Beirut earlier this week, holding meetings with Hariri, Aoun and other political leaders. Reporting by Angus McDowall and Ellen Francis; Editing by Mark Heinrich Our Standards:The Thomson Reuters Trust Principles.